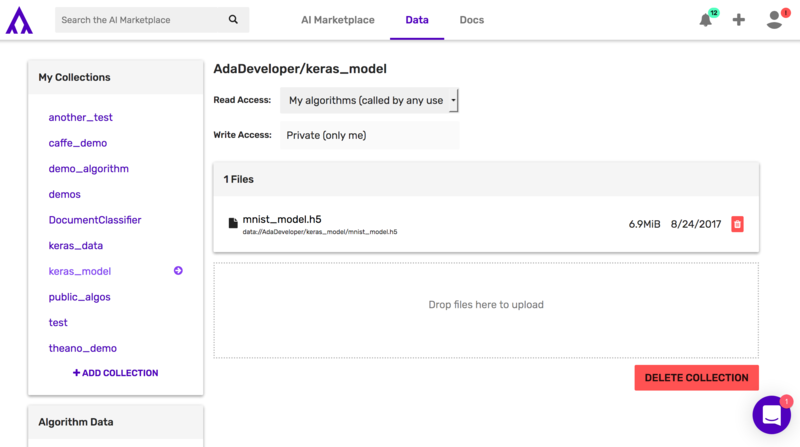 Welcome to deploying your Keras model on Algorithmia! 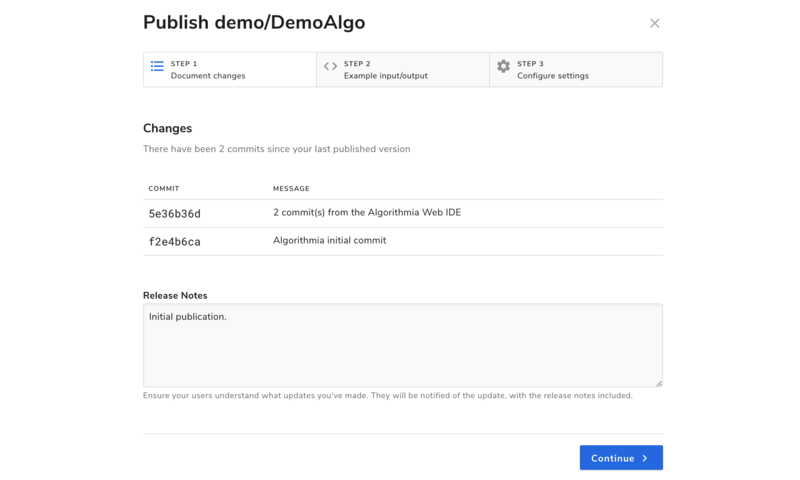 This guide is designed as an introduction to deploying a Keras model and publishing an algorithm even if you’ve never used Algorithmia before. If you’re using Tensorflow as the backend, check out the Tensorflow docs as well since those have specific information about deploying your model on GPU’s. After training your Keras model, you’ll want to save it using model.save(filepath) so you can upload it to Algorithmia. Note that when developing a model with Keras, they recommend you to save the model as an .h5 file so do not use pickle or cPickle to save your model, but use the built in model.save() instead. In this guide we’ll use Algorithmia’s Hosted Data Collection, but you can host it in S3 or Dropbox as well. Alternatively, if your data lies in a database, check out how we connected to a DynamoDB database. First, you’ll want to create a data collection to host your pre-trained model. Next, upload your saved model to your newly created data collection. Remember, if you created a GPU enabled algorithm, check out the Tensorflow docs to learn which dependencies to add for GPU’s in Tensorflow. to predict labels for first ten images in MNIST test set. """Load model from data collection.""" # Retrieve file name from data collections. """Get saved data model and turn into numpy array.""" # Predict only on the first ten images. """Reshape numpy array and predict new data.""" # Cast the numpy array predicted values as a list. """Pass in a csv image file and output prediction.""" 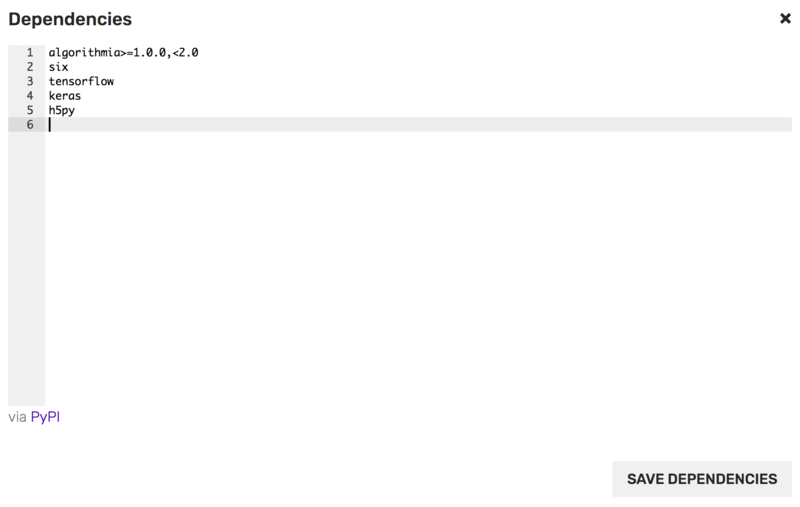 That’s it for hosting your Keras model on Algorithmia!